Descendants of Wilford Smith Sr. Traveling North from Natchez on highway 61 on the rolling hills with open farm land on each side. The traffic is scarce and the day is just beautiful this year. There is not a cloud in the blue sky and the warm sun is shining. We approach Lorman and turn towards the Ledlick community where my mother was born. The winding roads are much narror and the homes are old and as my husband continues driving I ger a feeling over me, excitement, like I'm going home. 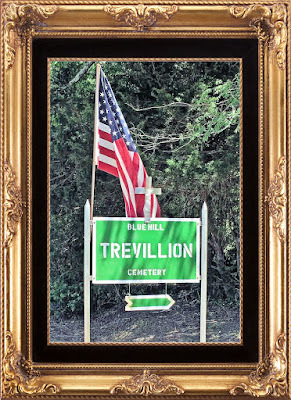 We come to a tee in the road and make a left , travel about eight more miles and right in a bend of that country road is a Cemetery sign on the right of the road in BlueHill. If you don't pay attention you could miss it. Turning on this road and as you drive through the gate, try to shut out the world a minute and listen with your heart as I try to tell you about a quite Cemetary in the Mississippi woods of BlueHill. You travel down an old and winding dirt road through the trees that shade the road. The road winds around till you come to a hill just in the next bend ahead. As we park our truck and get out I can't help but notice the quietness. The only sounds are the birds as they sing to each other and serenade us as we walk up the hill. The wind is lightly blowing and the breeze comes across my face like a sotf brush of a hand. Then you see it, a clearing in the middle of the woods and see the sleepy little graveyard sitting on green grass that's freshly cut, lieing at the bottom of the hill. The Spanish moss is hanging from the trees and waving in the wind as if beckoning us to come on down . The Magnolia tree is in bloom and the smell of honey suckle is in the air. The graves are all lying peacefully adorned with flowers. As you walk on down the hill towards the pavilions you can hear the children playing and the people chattering away as they visit. The food is spread out on the two open tables and everyone gathers on the old wooden church pews to listen to the business of the past year and the message that God planned for us to hear this May Day. Like every year, as I'm sitting there during the service, I glazed down on the graves in front of me and I imagine my Granny and Granddad Thomas walking among the headstones. They pick up old fallen tree limbs and dust away the dirt on the stones. They are joined by many friends and relatives and soon spread quilts on the ground and share a lunch together. Someone starts singing "The Old Rugged Cross", and everyone soon joins in the melody. A hat was passed around for those that wanted to help with keeping the cemetery up throughout the year. My Granny gives her dollar that she earned by selling fresh eggs that week. Things haven't changed much throughout the many years. Many distant Cousins, Aunts, and Uncles still make the journey each year on the first Saturday in May. Some travel a far distance and some still live near by. The grounds are always cleaned before the gathering in preparation for this day. The songs are sang as the birds sing in the background and the wind blows the Spanish moss in the breeze. Dinner is spread out on the old wood tables and is served after God's planned message is given by the preacher. There is still time to walk among the graves and remember those that have gone before us and listen to the stories told by those that still remember. 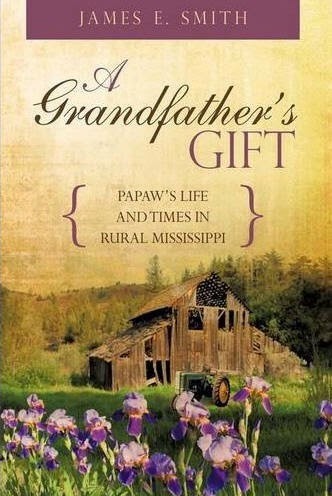 I always leave there with a full heart and the joy knowing that I, along with so many others can come here , in the middle of the Mississii woods, and carry on the tradition's of our Grandparents. copyright 2019. Blog by Smith & Hall. Simple theme. Powered by Blogger.